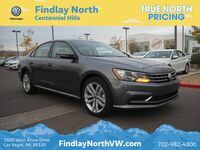 After a refresh last year, what more could you find in the 2017 Volkswagen Passat in Las Vegas NV? One of the main focuses going forward is improved safety, so if you’ve been holding out for even better driver assistance features, the wait is over. 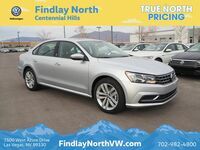 Forward collision warning and autonomous emergency braking, features that earned the 2016 Passat high safety ratings, are now standard across trim levels, while the R-Line and SE trims gain blind spot monitor with rear traffic alert. 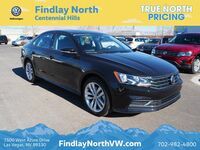 Safety isn’t the most exciting thing for many, but it’s something VW takes seriously for those who choose the 2017 Volkswagen Passat. It isn’t all practical and no fun, however, with the 2017 model continuing to offer all the great features that ensured it would stay a favorite. Last year it underwent a mid-cycle refresh, allowing it to look more aggressive than ever, but the addition of an R-Line trim option also provided even more in the way of sporty and attractive styling cues. 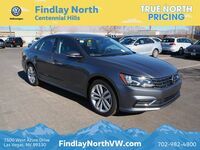 One of the many things that shoppers love about the Passat is that it offers one of the roomiest cabins for the midsize sedan segment. Passenger volume sits at a spacious 102 cubic feet to comfortably seat up to five, while the trunk still has 15.9 cubic feet of volume to spare for all your purchases. We all love the price of compact cars, but there’s no denying it’s more fun to drive a midsize when the features are typically boosted and fuel economy remains competitive. 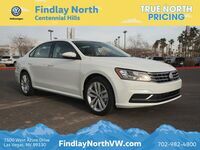 The Passat comes standard with automatic headlights, Bluetooth, a rearview camera and dual-zone automatic climate control. There are two engine options for the 2017 Volkswagen Passat: a turbocharged 4-cylinder and a V6. The Standard engine is the 1.8T turbo four and it delivers 170 horsepower, while the upgraded V6 boasts an output of 280 horsepower. Pair this with a standard six-speed automatic and it’s a smooth ride. 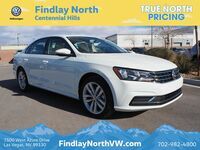 The question isn’t whether you’ll love your Volkswagen Passat, because we know you will. The model is attractive with its chiseled hood, chrome accents and four-bar grille to draw you in. 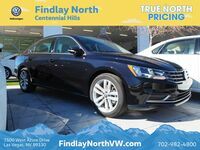 Once inside, you’ll find the seats are comfortable and supportive, the interior is well-fitted and features soft-touch materials for a quality finish and two-tone cloth upholstery offers a subtle sportiness. We already mentioned how spacious it is, but it’s also impressively quiet even at highway speeds. If you don’t know what a turbocharged engine is, it’s because many other automakers only offer it as an option. Volkswagen decided this should be a standard for four-cylinder engine because you get more power while improving efficiency. 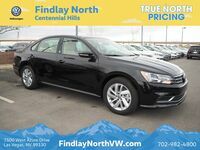 You’ll want the V6 if a roaring engine is more your speed, but for day-to-day driving the 170 horsepower engine offers ample acceleration, while keep efficiency numbers at an EPA-estimated 23 city and 34 highway mpg rating. 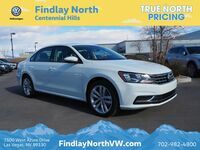 For 2017 the Passat comes in a total of seven trim levels, from the base S all the way up to the V6 SEL Premium. 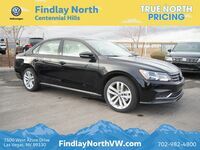 To learn more about the various trim levels and which one is right for you, stop by Findlay North Volkswagen to discuss pricing and standard features.